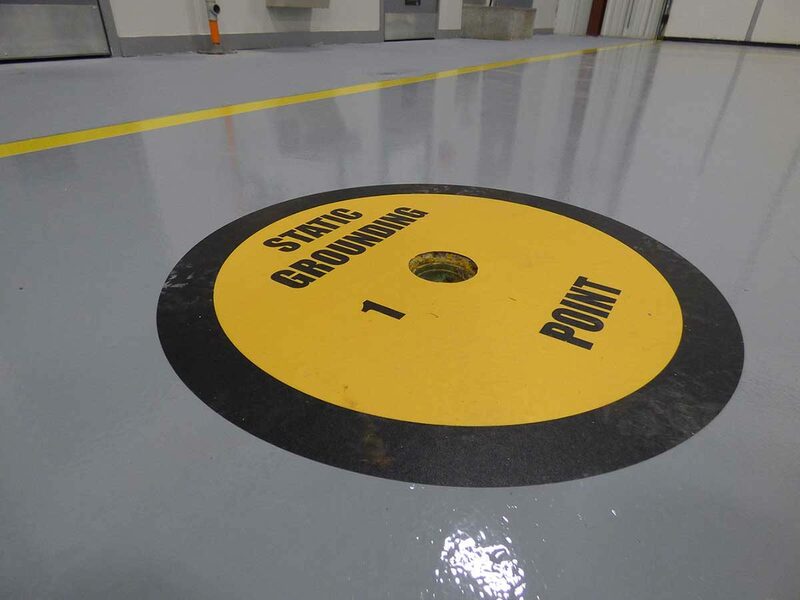 From Retail to Aviation Hangers, There’s a Concrete Treatment For Every Business - Decorative Concrete, Inc. 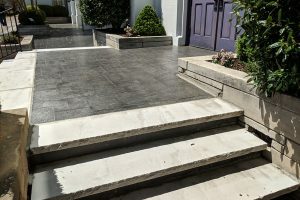 Concrete is one of the most durable and cost-effective flooring options around. 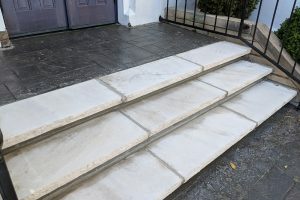 Many businesses use it for those reasons alone then need ideas to make it safer, more appealing and easier to maintain. Sound familiar? 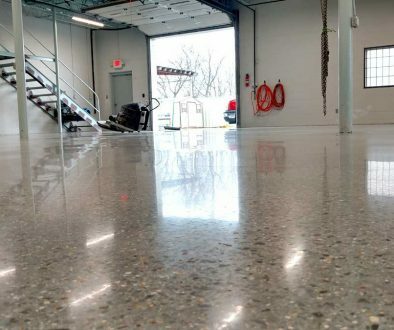 Take a look at these recent Decorative Concrete projects to see how you can improve your concrete floors. When it comes to high-tech maintenance being completed on U.S. Army helicopters, safety has to come first. And while most people might think of harnesses and hard hats, the floor has a key role to play in safety as well. 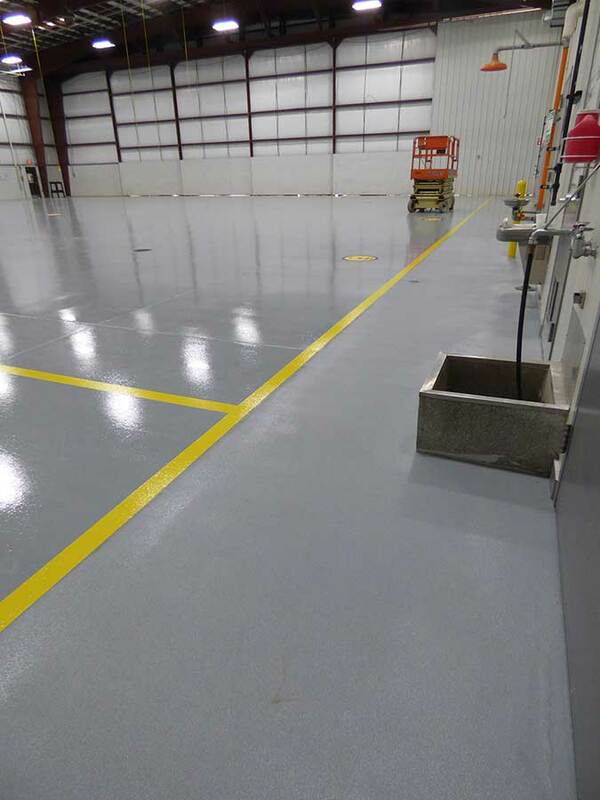 Yulista approached Decorative Concrete with very specific requirements for coating the concrete floor of one of their many helicopter hangars. 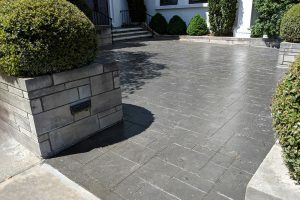 Specs included non-slip areas, distinct color markings and the ability to maintain a very clean environment. The project was completed as specified with minimal disruption to their daily operations, giving them a floor which rises their high safety standards. With a high-level of foot traffic in all types of weather, retail entrances can be an accident waiting to happen. 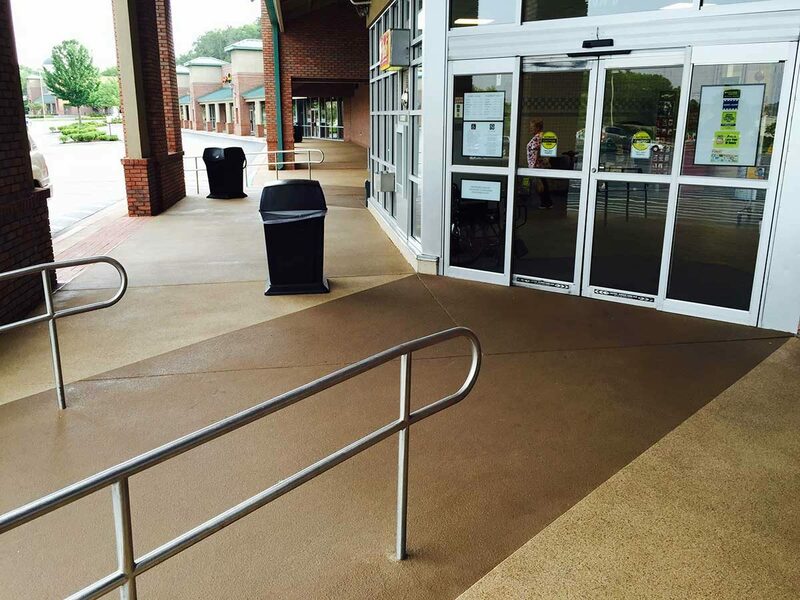 The Publix Supermarket at the corner of Airport Road and Whitesburg Drive in Huntsville, Alabama came to Decorative Concrete looking for a way to help reduce the chances of their customers slipping on a rainy day. 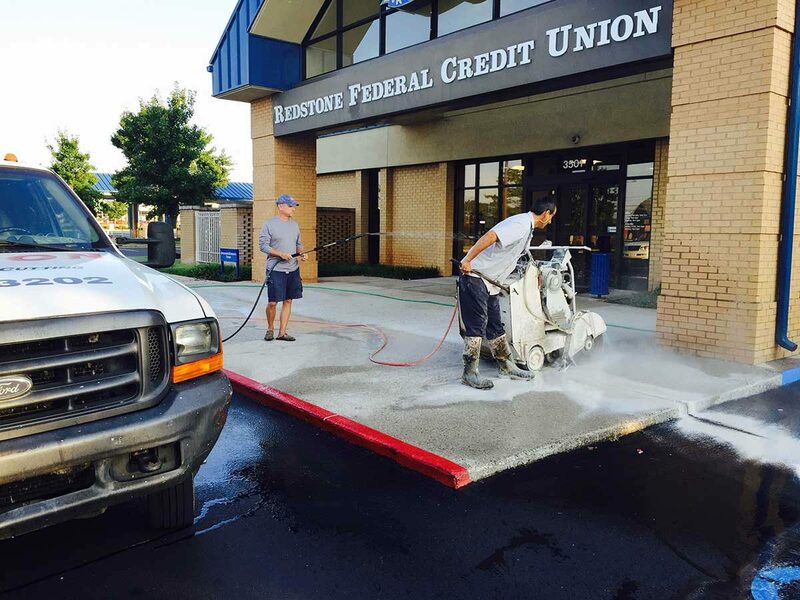 Redstone Federal Credit Union also had the same issue with several of their branches. The solution to make the entryways safer, as well as more visually appealing, was to use acrylic spray coating. 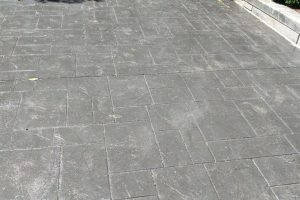 This coating is known for its slip-resistance being used quite a bit around pools. The colors available allow the coating to be customized easily to work well with existing design features. As one of the pillars of the Huntsville downtown church community, First United Methodist Church was beginning to show its age in the sidewalks. The existing stonework was beautiful for years and years, but became unsafe and unsightly. The ground had shifted quite a bit causing the sidewalks to become unloved and cracks to form. 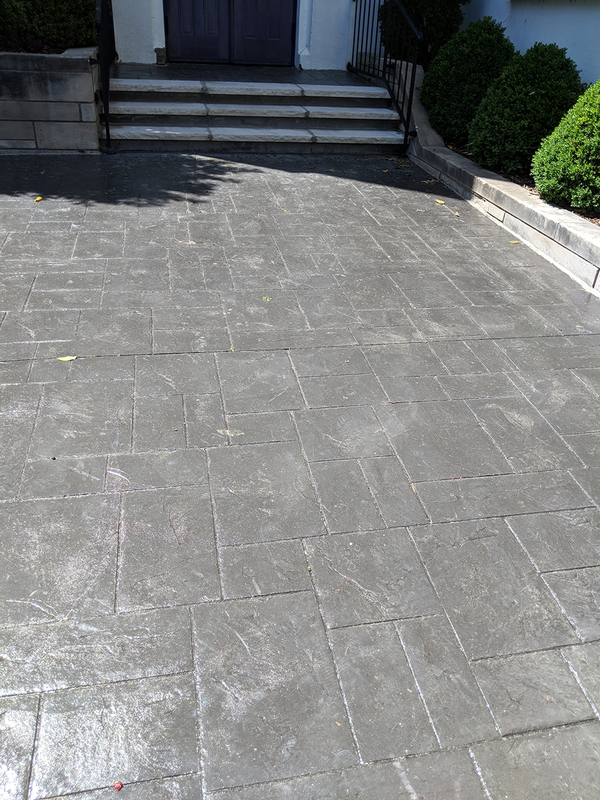 As they considered various options, Decorative Concrete became a clear leader in being able to provide quality service, a beautiful finish to compliment existing stonework, and most importantly safe walkways. 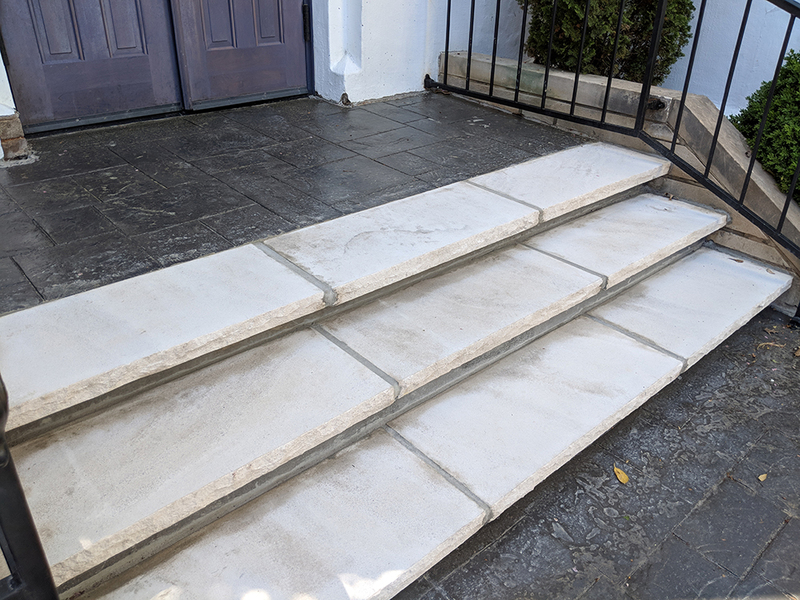 This project called for a careful tear-out of the existing walkway stonework, a fresh pour of concrete, then stamping and staining. The timing was critical as well as the church wanted the project complete by Easter Sunday. 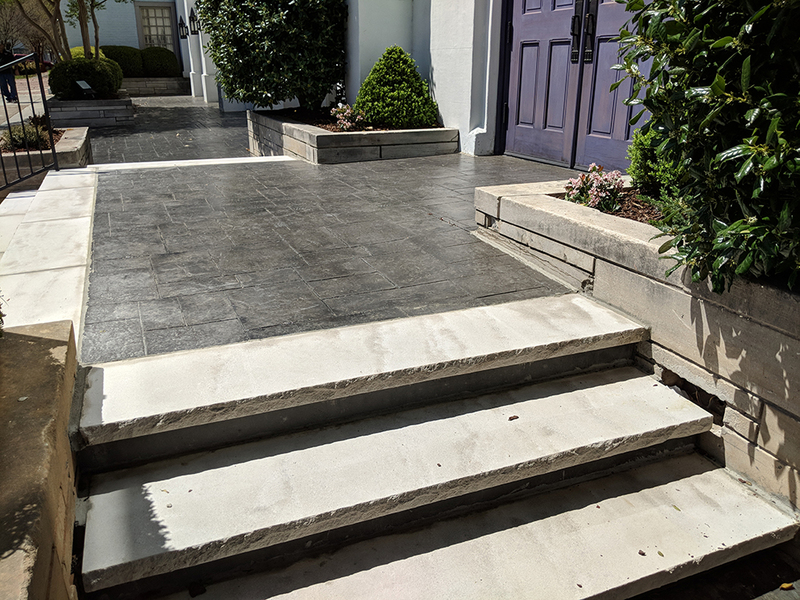 True to the Decorative Concrete mode of working, this entire project was started days before Easter and completed with plenty of time for the congregants to enjoy their Easter services. 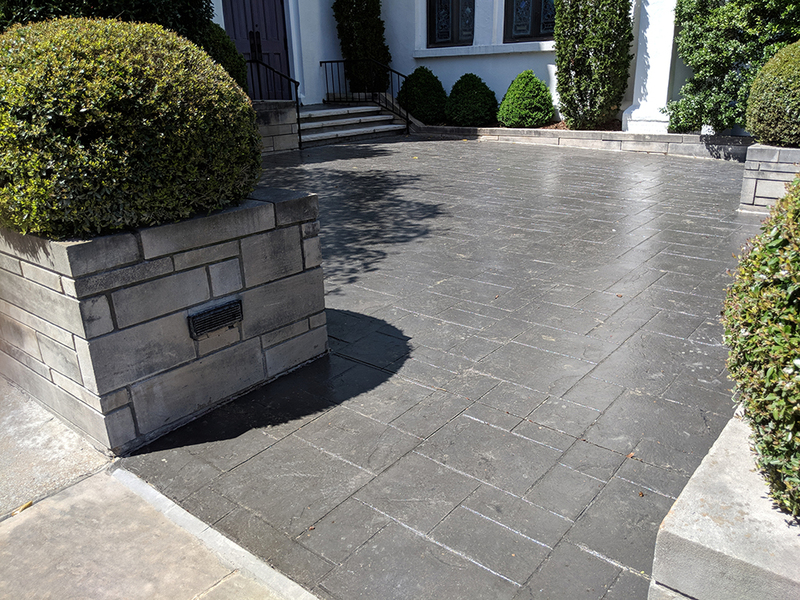 The decision to stamp this project really helped to keep the sidewalks in line with their previous look and feel.